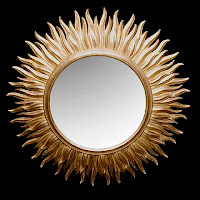 Auction Decorating: Bring on the sun(burst mirrors)! 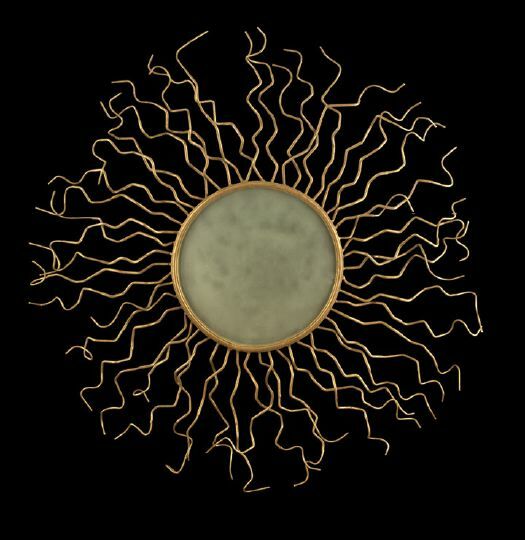 Bring on the sun(burst mirrors)! It's about this time of year that I am tiring of winter, and long for the warmth of Spring. It seems a long way away. We can't change the course of the sun, but we can bring a little sunshine into our homes. These photos from Micasa magazine and retailer Mecox Gardens illustrate a few ways to use wonderful sunburst mirrors in your home. They have been around a long time, and for good reason. They make you smile when you see them in a room. This exuberant Italian 18th century sunburst mirror is fantastic! It sold at Christie's of $5,640. But there are more modern versions available at auction to be had at for less. 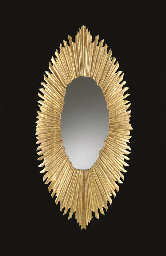 This lovely giltwood mirror sold at a Bonhams Los Angeles auction for $671. It's 37" in diameter. It's big enough to make a statement over a console table in your entryway, and would it make you lighten up after walking in from a gray day! 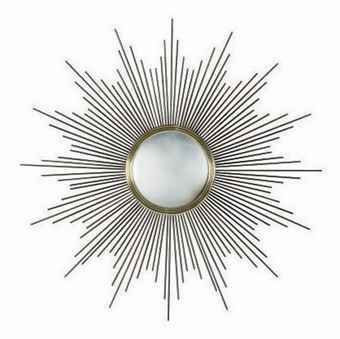 This is a cute small sunburst mirror at 13" in diameter. Find a little nook or cranny in your home that needs a focal point to draw the eye, and this bit of sun could do the trick. This sold for $122. Another gorgeous example from Christie's. 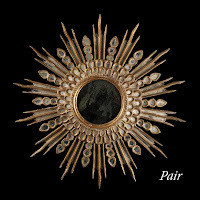 This Italian giltwood mirror is a real statement at 79.5" tall. This is 20th century and sold for $3,346. This modern version is coming up in the next Christie's Interiors sale February 8th and 9th in New York. This is Lot 918, is decribed as late 20th century, and has an auction estimate of $600 - $800. 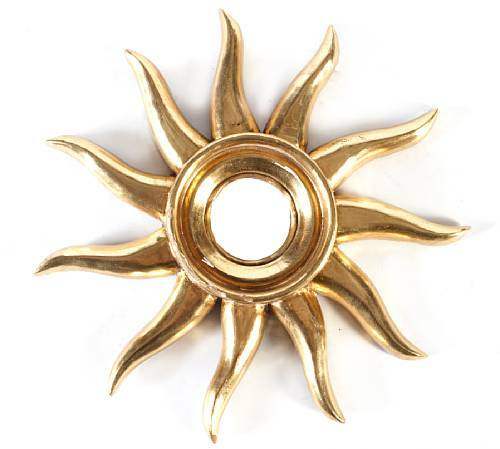 It's gilt and patinated metal, and is 44.5" in diameter. 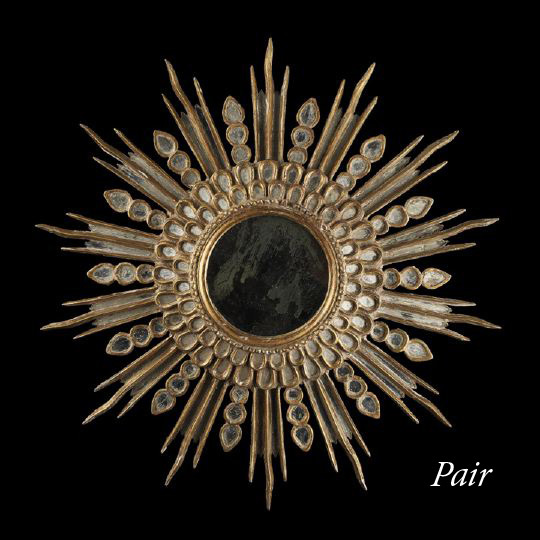 I love that this offering from New Orleans Auction is a pair. Pairs are always better than one! These would look fabulous on either side of a mantle, or behind a sofa flanking a beautiful work of art. 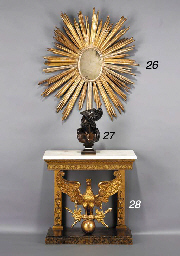 Lot 302 is a pair of Italian carved giltwood mirrors from the 2nd quarter of the 20th century. The are 26.5" in diameter, are included in the January 29th and 30th auction, and have an estimate of $800 - $1,200. 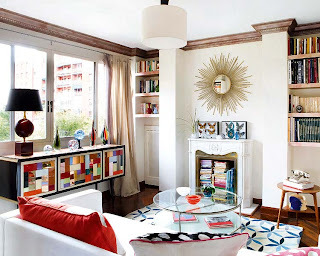 This is a cool modern design of a sunburst. This is a large 52" in diameter, is made of gilt metal, and has an auction estimate of $900 - $1,200 in the same New Orleans Auction (lot 531). One word of auction advice: when buying anything at auction that is of more recent manufacture, check the retail websites and make sure that your bid doesn't exceed what it might cost to buy it at retail. 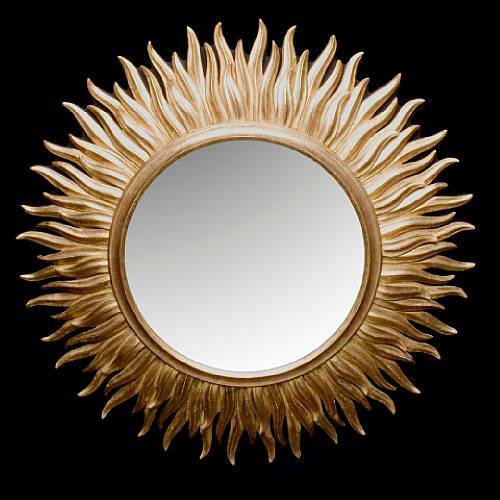 Sunburst mirrors are works of art that bring a smile to your decor! 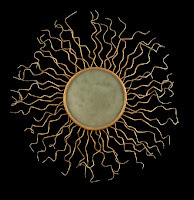 Collect them, and create a wall of sun like the photo from Mecox Gardens. 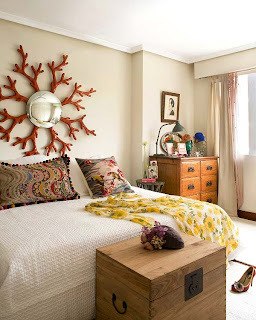 Or create one of your own like in the bedroom photo from Micasa. Lots of creative decorating options, and auctions can be a good source to start! Have fun. Bringing the garden inside in style!